We meet for worship each Sunday at 11.00 am, with a Sunday School held at the same time as the morning service. Moreton Presbyterian Church celebrated the centenary of its opening in 2006. 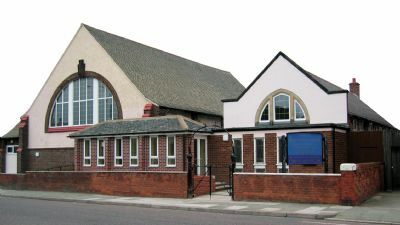 It was born out of a mission started by its mother church in Hoylake a few miles away - now sadly closed. The mission grew and in 1927 a new larger church was built next to the old one which has been enlarged and further altered on several occasions since then. We thank God for the past and as we have been known as "The Friendly Church", it is our wish to continue to deserve that title in the future. If you visit us everyone is assured of a very warm welcome. Click on these links if you want to find the details about one of the forthcoming Services, weekly Meetings or special Events (past and future). We hold a drop-in on Wednesday mornings between 10.30 am and Noon, all are welcome. If you want anymore information about us please send an email via the Contact Us page.